© Text and images on this website are copyright Paul Orton unless otherwise indicated Trim and on the road So began the laborious process of reassembling the car in August, starting with front shock absorbers and brake and clutch master cylinders. All the brightwork and external fittings including lights, external rear view mirror and door hardware were added. 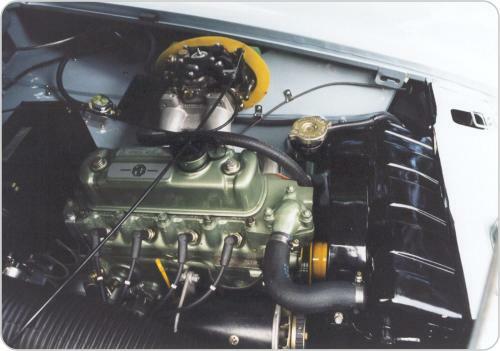 During September and October the engine and gearbox were installed as was the rear axle. 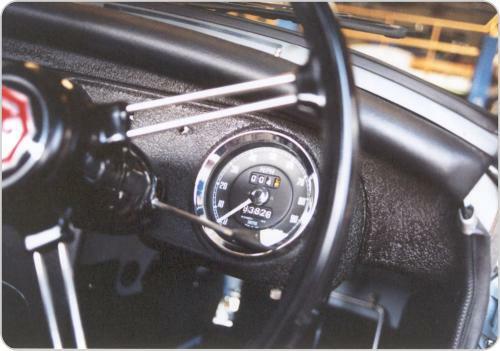 The dashboard, repainted in crackle black, and finally, the windscreen were fitted leaving the wheels as the outstanding major item. These were new wire wheels and with new tyres fitted at the end of October,at last, the Midget was back on its `feet' six months after serious work started! Off went the Midget to Terry and Craig Wall, motor trimmers at Brookvale (T Wall and Sons) for new trim and hood in December. Again, the trim was as close to the original as we could get it. Perhaps this car has struck a balance - what has not been enhanced is very original while what is not original is deliberately so to help it do what it does better! 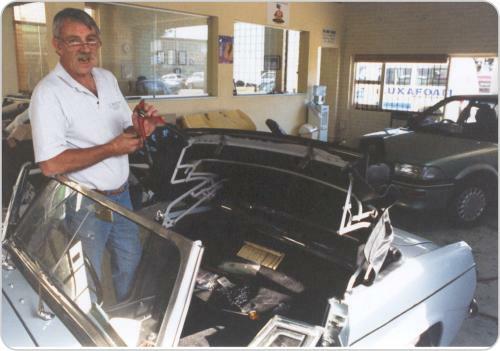 On 19 December 1997, the big day had arrived - fire up the engine, obtain a blue slip and then to the motor registry for registration. It all went so smoothly as to almost be an anti-climax but with 83 824 miles on the odometer and 19 years since it last ran, the mighty Midget was mobile again. More than just mobile, it went like it never did before with a willing motor eager to rev and with `tight' suspension, ABP 102 was a beauty! And that classic `A' series siamesed port exhaust note unleashed through extractors - what a joy to hear it again on my first trip in a sports car since ABP 102 last ran in 1978!